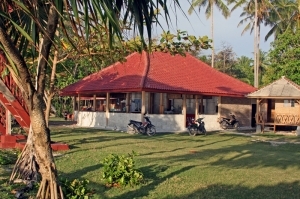 Paradise Surf Camp is owned and operated by Widya. 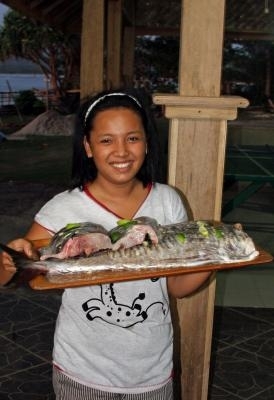 Widya is from Sumatra and has been running Paradise Surf Camp for the last 10 years with the help of her family and friends. Our booking/marketing/web guy Steve has also been known to hang around here for a while, make sure you say hi to him too! The goal of Paradise Surf Camp has always been to develop a safe, friendly camp where people feel at home. 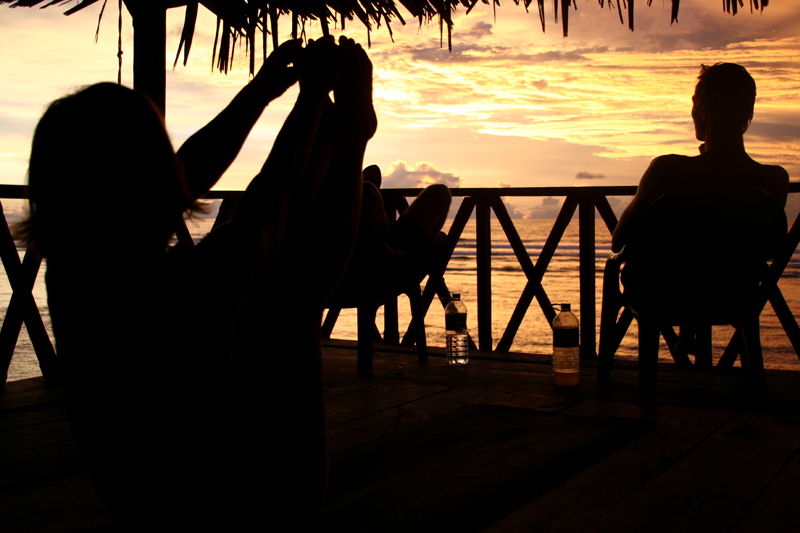 Turned off by surf camps overrun with rules, our goal is to create a camp that lets its guests have their freedom. 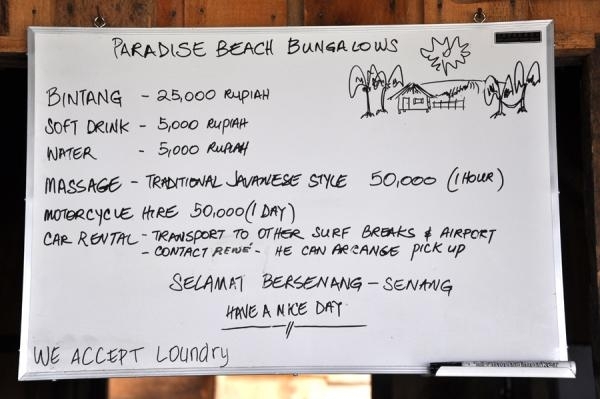 No 8-bed dorms, no wake-up calls or packed buses to spots, Paradise is a surf camp where people can come solo or with friends and feel free to do as they please. Surf the great waves in Krui, Sumatra with us! Widya has owned the land at Tandjung Setia for the past 10 years. Almost instantly, surfers started asking if they could stay and camp on the land. Soon, several private bungalows were built and the surf camp was born. Since then, we’ve added a few more bungalows along with a pool table, ping pong table, big screen TV, and pool. New in 2017 is the renovated restaurant and new bungalows on the west part of the camp. 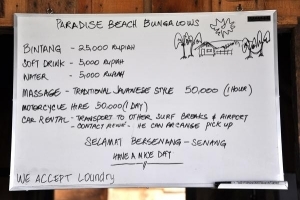 Paradise Surf Camp is a strong part of the local community. We always host events and show major sporting events here, so even if you don’t stay at Paradise, make sure you drop by for a beer, a game of billiards, and a chat. Sumatra is the 5th largest island in the world and one of the most important in Indonesia’s history. Its 1100 mile long area used to be covered in dense tropical rain forest but due to extensive deforestation and corruption that is sadly no longer the case. However, there is still a lot of jungle and preserves exist in numerous places that harbor endangered species like Tigers, Elephants, Orangutans, and Rhinos. Straddling the equator, the climate is hot and humid with water temperatures ranging from 25-29 degrees Celcius (85F or so). 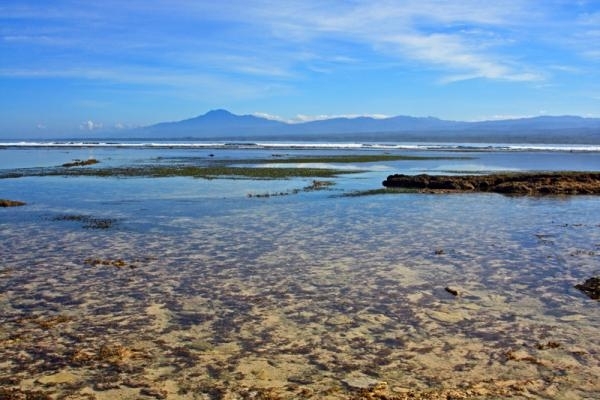 The seasons in Indonesia are typically divided into the dry season from March/April until October/November which is best for consistent, trade-wind favored surf and the wet season (December-March) where rainfall is heavier and swell is less consistent. 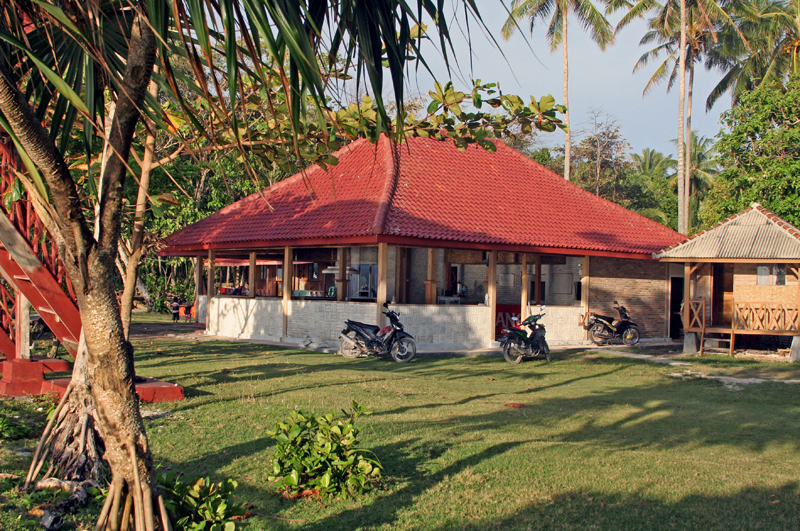 Paradise Surf Camp is located on the Tanjung Setia Headland, 30 km east of Krui on the Indonesian island of Sumatra. Until the new airport is built (2019 Maybe? ), we are best served by Bandar Lampung domestic airport on the eastern side of the island. Airport transfers from Bandar Lampung Airport (TKG) are $80USD each way. This is the total price per trip, which you can split between all the members of your group. Transportation in Lampung is controlled by the local transportation authority so payments are made to your driver on arrival to the camp. We can schedule pickups at any time. The drive takes approximately 5 hours. International flights into Jakarta (CKG) can connect with Lion Air, Sriwijaya, and Garuda Indonesia for the short, 30-minute domestic flight into Bandar Lampung. 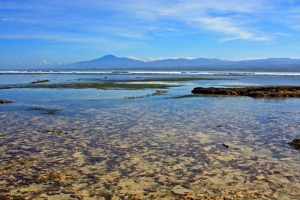 It's ideal to arrive in Bandar Lampung no later than 2pm as the drive to the camp takes approximately 6 hours. When leaving, it's best to depart from Bandar Lampung airport no earlier than 4pm so you don't have to wake up at 5AM. This is just a suggestion, we can schedule transport at any time. More questions? Check out the Frequently Asked Questions.